A good luck necklace or ring. You can buy the only below for $16.90 on eBay. 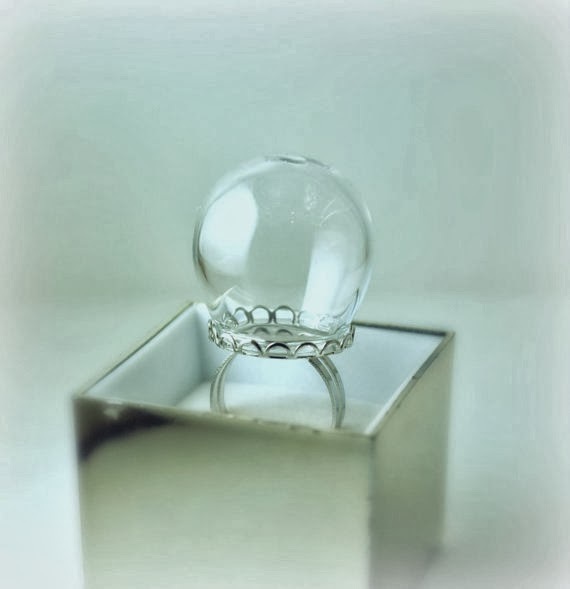 You can also buy an empty globe ring here for $3.54 and fill it with dandelion seeds. In fact it might be a great sentimental gift to give someone if you blew a dandelion on a walk with them and made a wish saved the last few to put in the ring. What a great page. Glad to see you here blogging. So many deserted blogs these days. Thanks for letting me visit.